97% of all undergraduate students receive financial aid. Use our Net Price Calculator to determine your financial aid and tuition fees. The financial aid department at LBC went above and beyond as they worked hard to make my education at LBC possible. I came to LBC knowing that I would need as much financial assistance as I could get. My parents didn’t make much money as they were both in full-time ministry, so loans and scholarships were the key to my education. From freshman year all the way through senior year, the financial aid department, and specifically Beth Kachel, worked side by side with me, making sure I was educated about loan repayment and aware of scholarship opportunities. I remember a time when I had a meeting with Beth and explained to her how my parents had lost their jobs and my financial situation was in complete limbo. Without skipping a beat, Beth assured me that she would do everything she could for me to make up for the lost income. Later on, when the awards letter came out at the end of the semester, through the work of the financial aid team and the grace of God, I owed less then I had previously. Whenever I hear of someone who has a financial need, I always respond by suggesting they set up a meeting with financial aid. Their hard work, dedication, and love for the students here at LBC made my education and the education of so many others possible. There are many grants available to undergraduate students. Start your financial aid search by exploring grants first – these don’t have to be repaid. Please read the description of each to find out if you are eligible and how to apply. Email LBC’s Financial Aid Office if you need to speak with a financial aid specialist. There are several types of scholarships available for new, incoming students and continuing students. Most require that students maintain a certain GPA and good standing with the college. May be awarded to students who are less than half-time (six credits). Federally funded gift aid awarded by LBC to undergraduate students with exceptional financial need who are working on their first bachelor’s degree. Must be enrolled at least half-time (six credits). Maximum award is $600 per year. Awarded based on financial need and enrollment status: full-time (12 or more credits) or half-time (six credits) for a maximum of eight semesters to students enrolled in a four-year major, and a maximum of four semesters to students enrolled in a two-year major. Maximum full-time award beginning with the 2017-18 academic year is $3,950 per year. Maximum half-time award is $1,975 per year. The Pennsylvania State Grant regulations state that, for an approved major of study, at least 50% of the coursework for the minimum major length must be taken through classroom instruction in order to remain eligible for Pennsylvania State Grant consideration. This does not include online or independent learning courses. Note: If you choose to apply for a Summer Pennsylvania State Grant, it will be counted towards your maximum semesters of eligibility. Students are eligible for only one academic scholarship. $1,500 to 3,000 for first academic year. Bible Institute Scholarship recipients do NOT qualify. Renewable as Dean’s Scholarship. Up to $12,000 over 4 years. First-time freshmen with CLT 58-67/ACT 19-21/SAT 980-1070 (SAT combination of math/critical reading) and high school GPA of 2.5-4.0. Renewable with minimum cumulative yearly GPA of 2.5. Up to $24,000 over 4 years. First-time freshmen with CLT 68-75/ACT 22-23/SAT 1080-1160 (SAT combination of math/critical reading) and high school GPA of 2.5-4.0. Up to $32,000 over 4 years. Renewable with minimum cumulative yearly GPA of 3.0. Up to $40,000 over 4 years. Renewable with minimum cumulative yearly GPA of 3.5. Scholarships are for full-time students except where noted. Awarded to new freshmen who have earned specific awards in AWANA clubs. Timothy Award is $750; Meritorious Award is $1,000; Citation Award is $1,500. Verification is required from the student’s AWANA Commander. Renewable with 2.3 minimum GPA, and the student must be in good standing with the college. Awarded to students transferring directly from Encounter Revival Ministries, New Tribes or New Brunswick Bible Institute. Students must complete at least one year at those schools. The admissions application file will be used for scholarship application. Students must have at least a 2.0 transferring in to receive this scholarship. $3,500 annual award. Students transferring directly from Word of Life Bible Institute, Berkshire Institute for Christian Studies and Score International GAP Program in Costa Rica are eligible for a $7,000 annual award. Renewable with a 2.3 minimum GPA, and the student must be in good standing with the college. Awarded to dependent students (under 24) of LBC alumni. $2,500 annual award. Alumnus’ standing must be verified through the LBC Alumni Office and/or CampusVue. Renewable with 2.3 minimum GPA, and the student must be in good standing with the college. Awarded to dependent students (under 24), whose parent is in full-time Christian ministry with a non-profit Christian organization. Verification of the ministry is required. In addition, students are encouraged to file a FAFSA prior to May 1. Awards range from $1,000 to $5,000 annually, based on their EFC. Renewable with minimum 2.3 GPA, and the student must in good standing with the college. Students must complete this form. LBC will match up to $500 for both the fall and spring semesters. Students must complete the Church Matching Scholarship Application. Funds from the church must be submitted by August 5 (for fall) and January 5 (for spring) in order to be matched. Students must have minimum 2.0 GPA and must be in good standing with the college. This scholarship is for students with financial need. A FAFSA is required. A factor formula has been established by the Scholarship Committee to award these funds. All returning students who are actively involved in leadership roles, like LeadNow, and have a minimum 2.3 GPA can apply. Recipients receive up to a $4,000 annual tuition award and must participate and serve in at least five different LBC events and meet regularly with the V.P. of Student Services. Recipients are recommended by the V.P. of Student Services to the Scholarship Committee. Students must complete a scholarship application each spring. A $3,000 annual tuition award is available to international students who have been accepted to LBC and demonstrate financial need as determined by the International Student Financial Aid Application. Scholarship is renewable with application, a 2.3 cumulative GPA, and the student must be in good standing with the college. Awarded to a dependent student of a full-time missionary serving with ABWE, Christar, Crossworld, OMF, Pioneers, SEND, TEAM, World Team, or Wycliffe Bible Translators USA on a foreign field. $7,000 annual award. Renewable with a 2.3 minimum GPA and good standing with the college. Students receiving this scholarship are not eligible to receive the child of Full-time Christian Worker Scholarship. A $1,500 annual tuition scholarship is given to new students who will be enrolled full-time, based on the scholarship application process in March. See admissions for application information. This scholarship is for one year only. Students may apply for the Heydt Presidential Leadership Scholarship each year. Awarded to dependent students (under 24) when two or more siblings from the same household attend LBC full-time in the traditional undergraduate program. $1,200 annual award. Renewable with a 2.3 minimum GPA, and the students must be in good standing with the college. (This does not apply to married students). 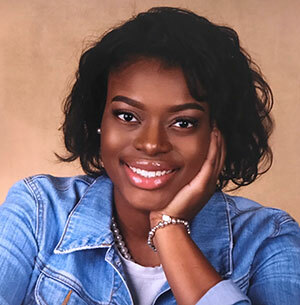 This scholarship is awarded to first-time freshman students enrolled in a Music, Worship & Performing Arts major who have demonstrated ability and potential in the music field. Students must audition for this scholarship. Scholarship amounts vary and are renewable based on a 2.75 cumulative GPA and recommendation by the Chair of the Music, Worship & Performing Arts Department. A $3,000 annual tuition scholarship is awarded to a continuing student who earns a cumulative GPA between 3.50 and 3.74, or a $4,000 annual tuition scholarship for a GPA of 3.75 and above. Students must be full-time both during the year of academic achievement and the upcoming fall semester. The only exception will be seniors who need only between 6 and 11 credits to graduate. In this case the award will be prorated. All returning students can apply each year for several endowment scholarships. Criteria and amounts vary for each scholarship. Application is required by published deadline date. View the list. While awaiting your COE, apply to LBC for admission. Please note: It could take up to eight (8) weeks for your COE to be approved by the VA. LBC does not have any involvement in this process. www.fastweb.com is a free scholarship search engine that matches as student’s personal data to eligible scholarships by scanning a pool of thousands of scholarships nationwide. Your high school guidance counselor is also a wonderful source of information regarding scholarships you may qualify for. Note: Graduate students no longer eligible for Subsidized Loans for loan periods beginning on or after July 1, 2012. You must complete the FAFSA each year. 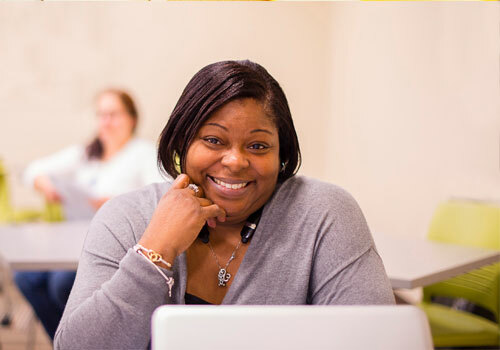 To be eligible, you must be enrolled in a degree major for at least six credits per semester and maintain LBC’s satisfactory academic progress standards. E-sign Your Federal Direct (Subsidized or Unsubsidized) Loan Master Promissory Note (MPN). If you are a first-time borrower of the Federal Direct loan, you will be required to complete a Master Promissory Note (MPN) before the loan funds can be disbursed. In most cases, you will only need to complete one MPN during your college career. E-sign your federal Direct loan MPN at studentloans.gov using your Federal Student Aid PIN by selectingSign-In. After you sign in, choose Complete MPN and then select Subsidized/Unsubsidized. Follow the four-step process listed on the studentloans.gov website to sign your MPN. If you are a first-time borrower of the Federal Direct Loan, you are required to complete Loan Entrance Counseling before the loan funds can be disburse. To take the counseling, select Entrance Loan Counseling on the studentloans.gov website. This counseling session provides you with information that will help you understand your rights and responsibilities as a loan borrower, as well as other tools to assist you with managing your loans. An origination fee of 1.073% will be deducted from the gross amount of the loan borrowed, so you need to take that into consideration when determining the amount you need to borrow. It’s important to know that loan funds will automatically credit to your student account if the Direct Loan Processor has a valid MPN on file for you, and you have completed loan entrance counseling. After you have completed your registration and semester classes begin, your student financial aid will begin to disburse into your student account. If you wish to reduce or cancel your loan(s), please go to the LBC Student Portal and choose Financial Aid Awards where you can reduce or cancel your loan. When undergraduate students need funding beyond the Direct Subsidized/Unsubsidized Loans or Perkins Loan, parents may need to consider the PLUS Loan. LBC participates in the Direct Lending Program with the U.S. Department of Education. This program allows parents of dependent undergraduate students to borrow a Federal Direct Parent PLUS Loan to help pay for educational expenses. A student must be enrolled at least half-time (six credits) in a degree major and meet all other eligibility requirements, which includes maintaining satisfactory academic progress. Parent borrower consents to a credit check by the U.S. Department of Education by submitting the Parent PLUS Loan Instructions & Request Form. Adverse credit typically results in a denied credit check. Yearly borrowing limits are equal to your student’s estimated cost of attendance (tuition, fees, room and meals, books, transportation and supplies), minus other financial aid your student receives. Students can view their estimated cost of attendance through the Student Portal by choosing Financial Aid Awards. Loan term dates are fall only, spring only or fall/spring combined. Be sure to take the loan period into consideration when determining the amount to borrow. We recommend waiting until the student receives the tuition bill before applying for the Parent PLUS Loan. Parent must sign with their Department of Education PIN number. Parent must select “Parent PLUS Loan” and complete the Master Promissory Note. The U.S. Department of Education will mail the credit check results to the parent borrower and electronically transmit the results to LBC. Denied Parent PLUS Loans allow the student to borrow an additional amount of unsubsidized loan. Borrowers have the option to either appeal the credit decision with the U.S. Department of Education or get an endorser for the loan. Once the credit check is approved and a valid MPN is on file, the Parent PLUS loan funds will be applied toward payment of tuition and fees, room and board and other LBC charges on the student’s tuition bill. Borrowers that apply for a fall/spring combined loan period can expect the loan to be split in two equal installments. Loan decreases can be requested by contacting the LBC financial aid office at financialaid@lbc.edu or by calling 717.560.8254. Loan increases can be processed by completing the Parent PLUS Loan Instructions & Request Form on Account Center for only the additional amount needed. If a credit balance remains after all charges are paid in full on the tuition bill, the credit will be refunded to the parent borrower. Repayment begins 60 days after the final loan disbursement during the academic year. Parents have up to 10 years to repay the loan. Deferment allows parents to delay repayment until after their student is no longer enrolled at least half-time (six credits). Parents may request a deferment of each new Parent PLUS Loan by calling the Direct Loan Servicing Center toll-free at 800.848.0979. Parents may need to provide a copy of their student’s academic record to the center. Private Education Alternative loans are private loans (not part of the federal government programs) that are obtained through a lending institution. Give yourself credit! Credit scoring is calculated using many pieces of your past bill payment history. The way you managed credit in the past is often a good indication of how you will manage credit in the future. Lenders use credit scores to make fast and objective decisions on which applicants are likely to repay their loans on time. • Annual Percentage Rate (APR) – What is the annual cost of the loan, including interest and the effect of any fees and charges? • Pre-approval – Does the lender offer an opportunity to find out quickly if you qualify? • Repayment Period – How long is the time allotted to repay the loan? • Electronic Signature – Can the federal application be completed online with an electronic signature? • Repayment – When does repayment begin and what are the options for repayment. • Cosigner Release – Is a cosigner requried and does the lender offer a cosigner release option if you make a required number of on-time payments? • Repayment Incentives – Does the lender offer any rewards or incentives for on-time payments? • Loan Cancellation Features – Does the lender offer cancellation of the loan in case of death or permanent disability? • Loan Limits – Is there a loan limit and will the limit meet your needs? • Interest Capitalization – When is the interest added to your principle balance? • Servicer – Does the lender service its own loans? Is a private loan the right option for you? At LBC, we think it’s important to factor Christ into any decision. Deciding how to finance your college education is an important decision. You should consider all of the factors that are important to you. Paying for your education is a life-long investment. For more information, go to www.elmselect.com/#/. On this site, you can find a list of lenders that offer private loans. Please note that you are free to select whoever you wish. This is only a partial listing of lenders that other LBC students have used. Note: A FAFSA is not required to apply for an alternative loan. 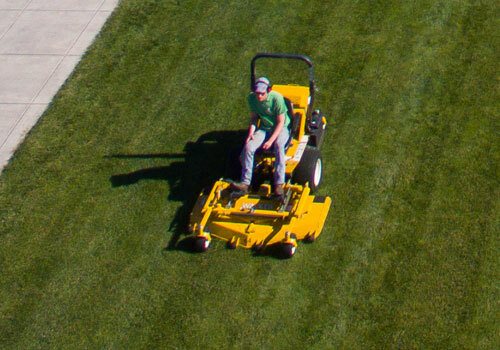 LBC has many campus jobs available, funded through the Federal Work Study program. It’s a great way to earn money during the course of the semester to help offset text book costs and living expenses. Federal Work-Study is a student financial aid program for eligible undergraduate students with high financial need. Work-Study allows you to earn money to cover a portion of your educational expenses by working on campus. Work-Study will not be credited towards your tuition bill. Work-Study recipients are paid every two weeks and earn at least minimum wage. If you are awarded federal Work-Study, it is your responsibility to find a work-study position. As with all aid programs, work-study recipients must maintain federal student aid eligibility requirements. The LBC financial aid office is here to assist you throughout the entire application process. 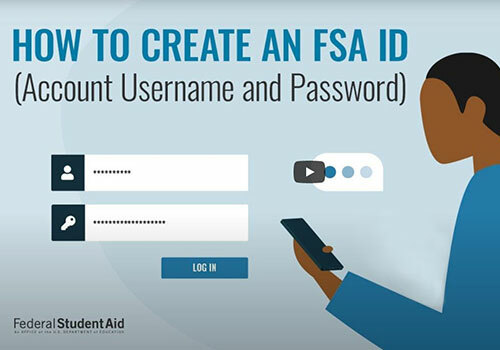 You complete the Free Application for Federal Student Aid (FAFSA). LBC’s federal school code is 003285. You review Student Aid Report from the federal processor. Check for accuracy and make corrections if needed. LBC will receive Student Aid Report electronically. Financial aid awards will begin to be sent out in November to all new incoming, accepted students. Students may accept their financial aid awards online at the LBC student portal. Financial aid funds are applied to the student account after the start of classes and registration has been confirmed. Before we can identify potential funding sources for you, you have to meet these requirements. 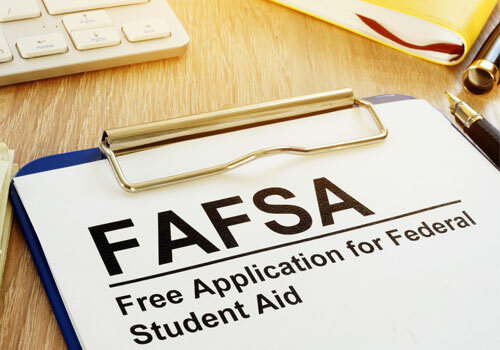 Must complete the Free Application for Federal Student Aid (FAFSA) each year (instructions on how to apply can be found in the next section). 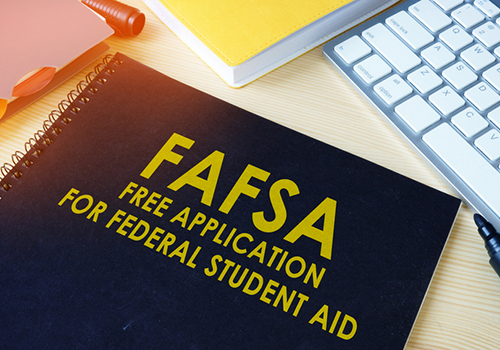 Make sure you file the FAFSA by the filing deadline for your state. Must be enrolled in an eligible degree major. Must be enrolled at least half-time (six credits for undergraduate, three credits or above for graduate students).